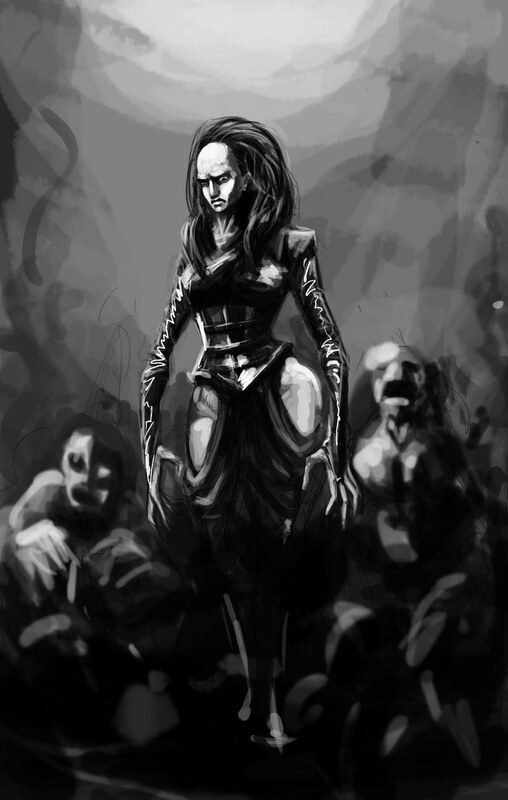 Another sketch of a character from a Clive Barker novel, this time it's Immocalata from Weaveworld. She is a very interesting character, full of contradictions and mystery. Beautiful and terrifying, she is a fascinating challenge to capture in a drawing, as I demonstrate above by totally ballsing it up. Will be trying again, and trying harder.